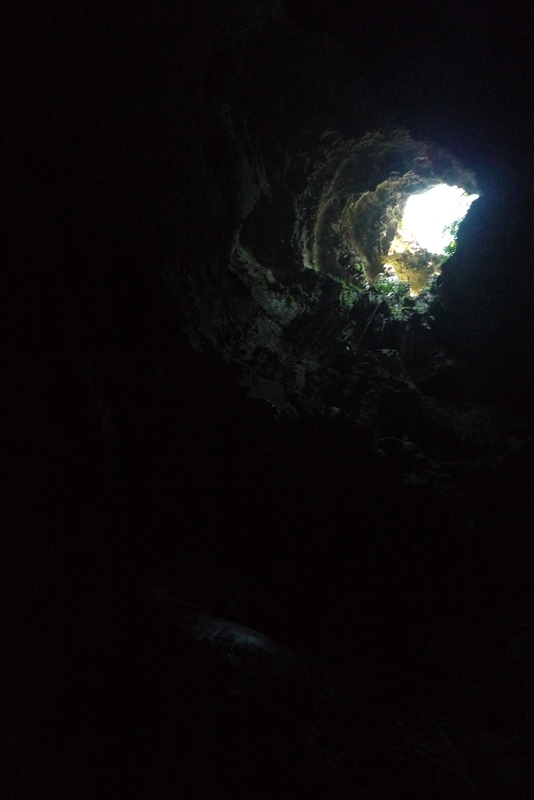 The entrance and exit of Callao Cave, as seen from the inside. 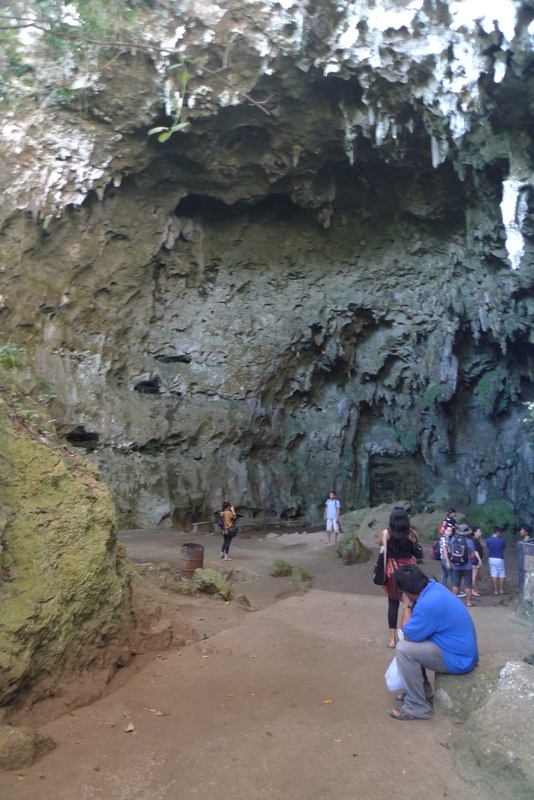 Callao Cave is part of a system made up of more than 300 caves, only a few of which have been explored. 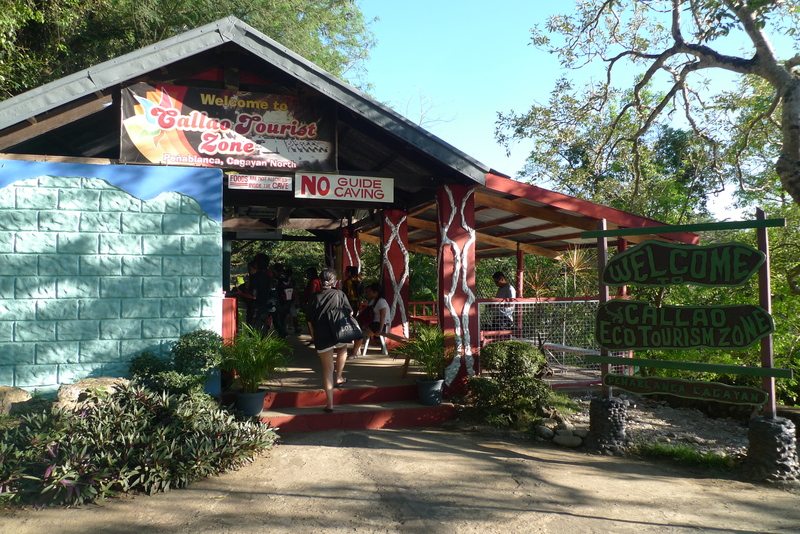 The gaudily decorated entrance to the Callao Eco Tourist Zone. It gets better, I promise. 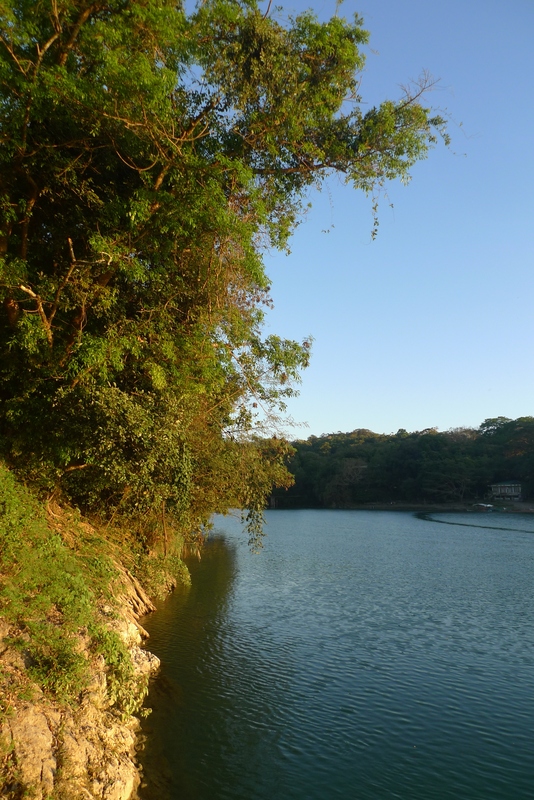 It is located in Penablanca, less than an hour away from Tuguegarao City in the province of Cagayan. You can rent a tricycle from Tuguegarao that will take you to the Cave and back for about Php600 both ways. The tricycle driver will wait for you there. 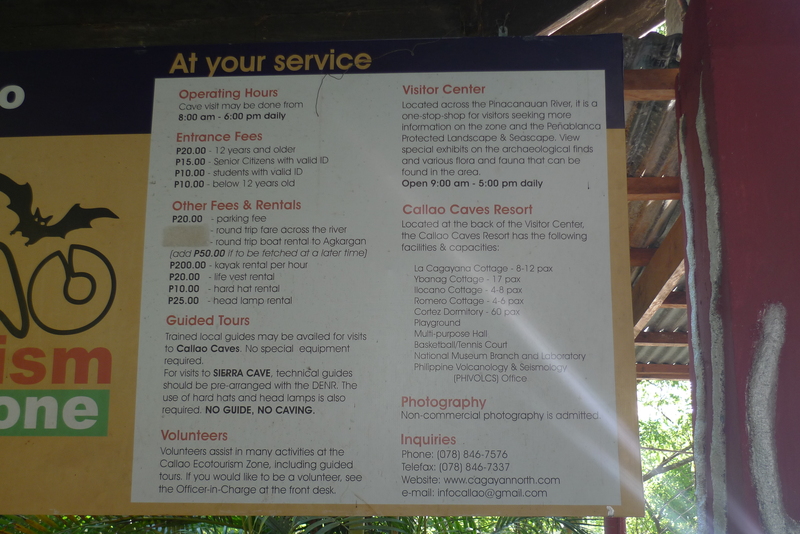 A list of Callao Cave’s fees and regulations. I admit to non-commercial photography! 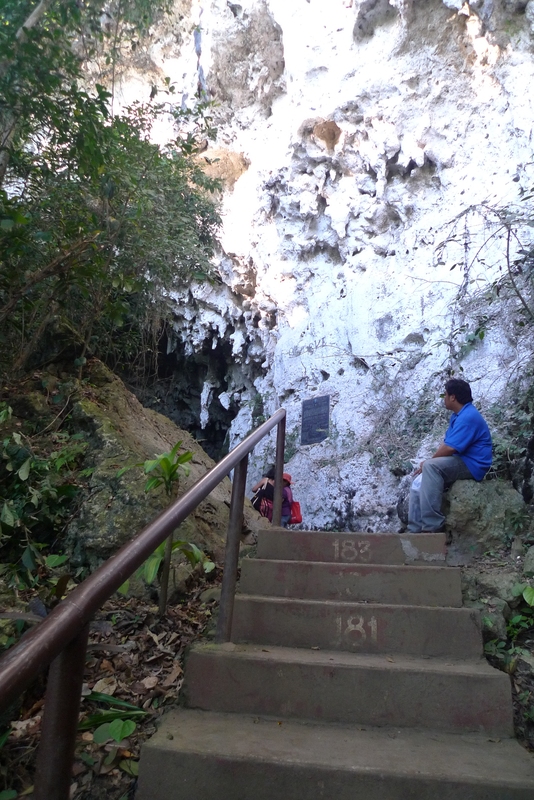 You have to climb 183 steps to get to the entrance of the cave. Unlike most “natural” tourist attractions in the country, the steps were short and there was a bannister provided so people can rest and enjoy the view whenever they felt winded. Still a long way to the top. It’s pretty humid during the first half of the climb, but there’s a cool breeze midway, and it isn’t so hot at the top. This is a big help to a disabled traveler like me, who can barely get up a jeep during the best of times. 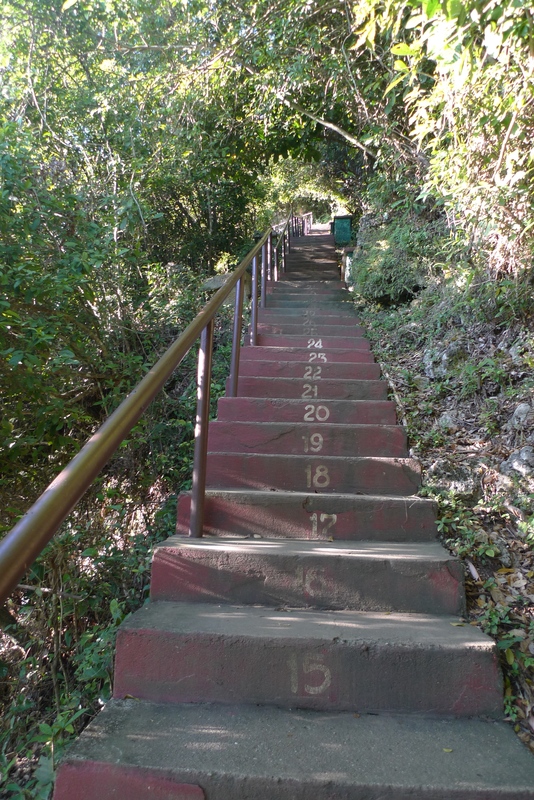 The steps are also numbered, which gives climbers a sense of achievement once they reach the top. Made it to the top! Took a picture, just in case no one believes me. It took me a while, but I finally made it. As someone who’s had to miss out on lakes, waterfalls and majestic views because of my muscular dystrophy, making it to the top by myself was a big thing for me. The first chamber is called The Aviary, because of the swallows that nest there. 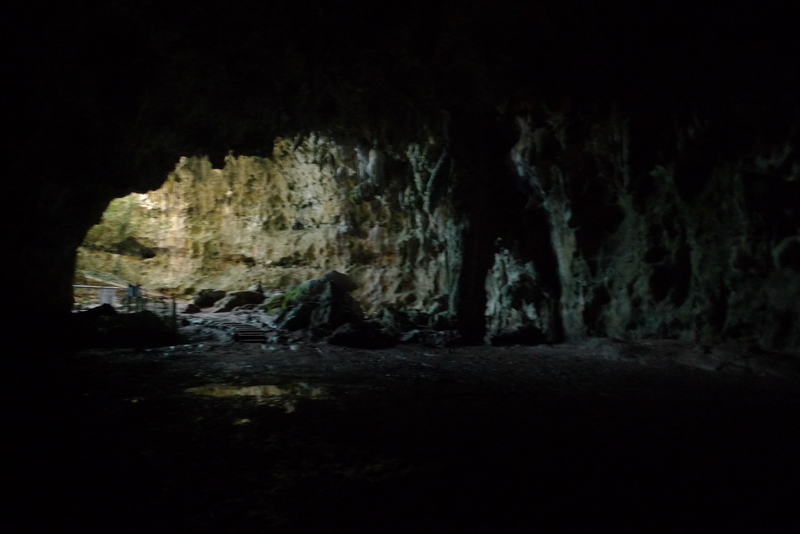 The main cave is composed of seven chambers, the only ones open to the public. Six of them have natural rock formations that look like animals and public figures. The second chamber houses a chapel dedicated to Our Lady of Lourdes. It is naturally lit by sunlight peeking through a hole above. It was too dark and slippery for me to take a picture of the chapel, so I took a picture of its skylight instead. Unfortunately, I only got as far as the second chamber, and only because I had help. Ther inside of the cave is very slippery, even for a normal person. 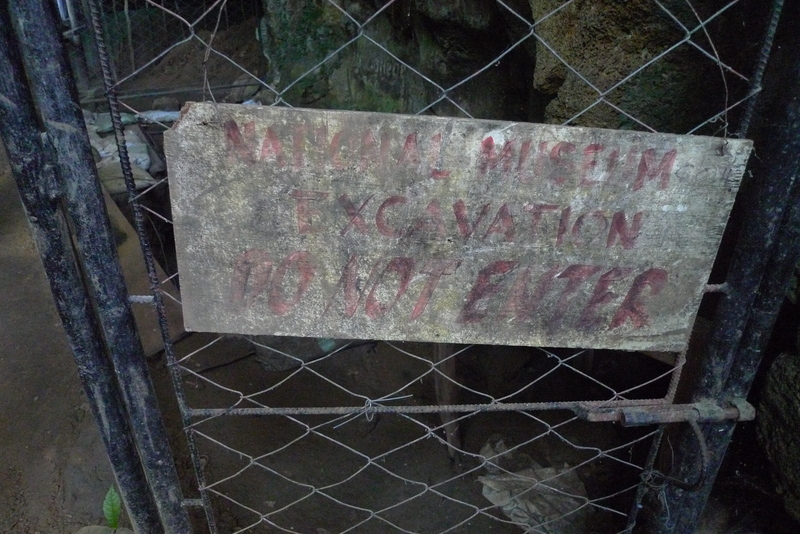 If you are disabled and somehow managed to get up the steps, I suggest you stay by the mouth of the cave and look at the National Museum’s excavation site there instead. Most of the cave system hasn’t been explored yet. The guide said that if you find a cave, you get to name it. A tarpaulin shows the different excavations made within the cave. 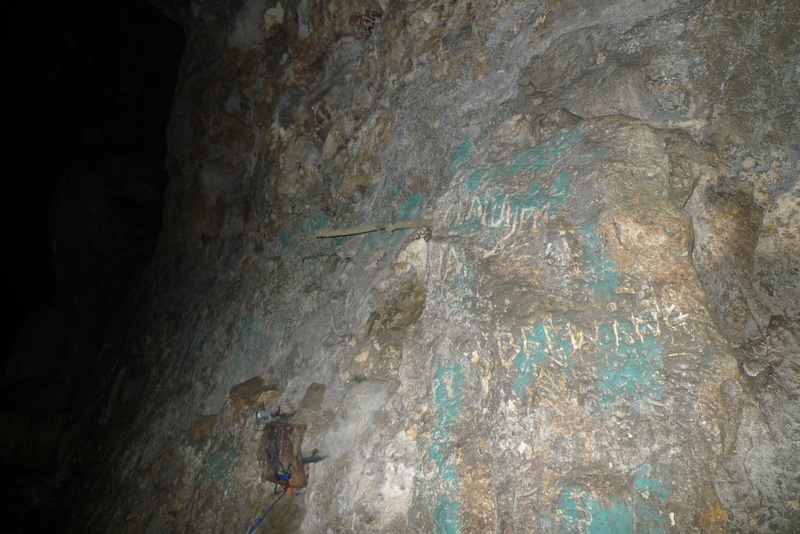 Or you can look at the graffiti on the cave walls. Just don’t add your own! 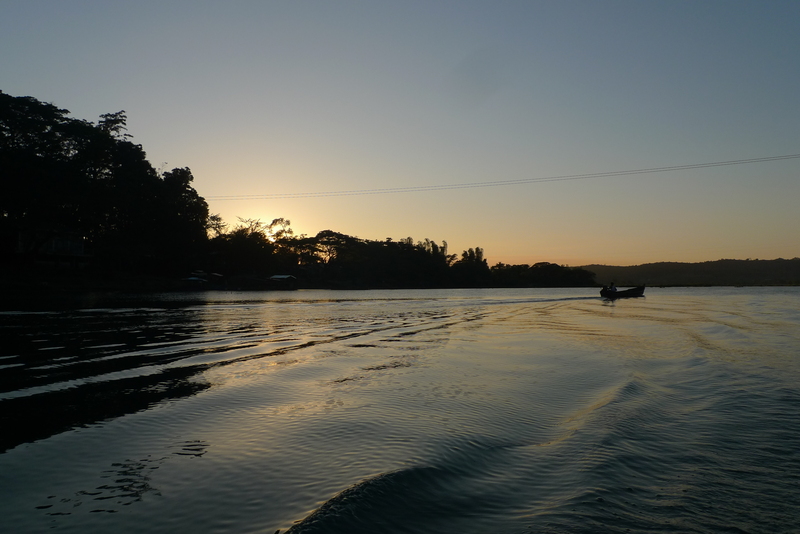 While you are there, take a tour of the Pinacanauan River, and make sure that you tell your guide that you want to see the bats fly out at dusk. You can rent a banca that sits up to 15 pax for Php600. How can you not want to see all that gorgeousness? 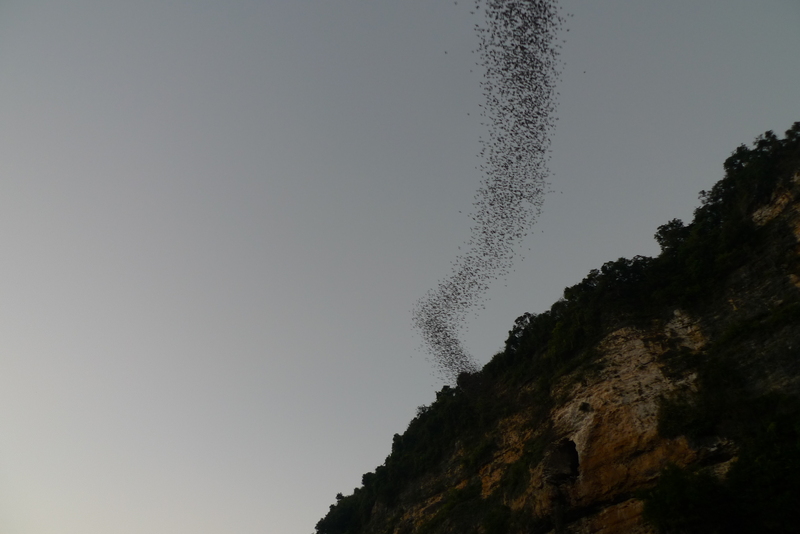 The nearest Chowking is in Tuguegarao, so that bats have to leave early if they want to get there before it closes. 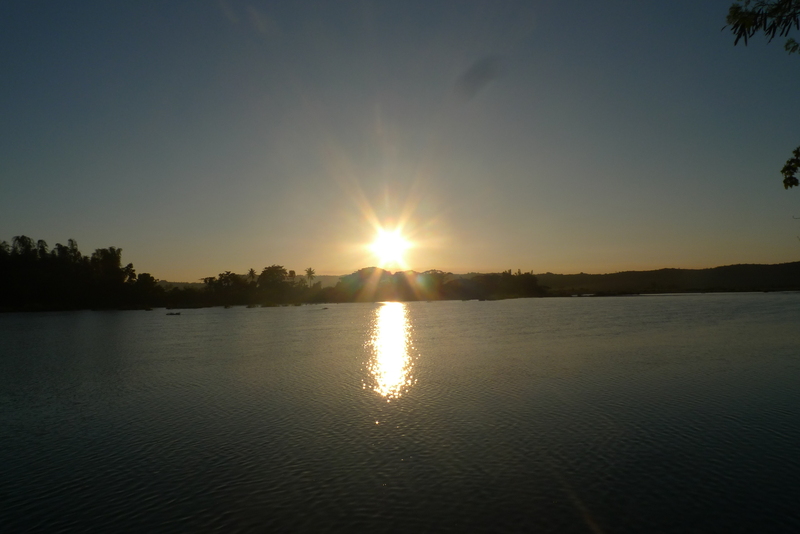 But even if you don’t get to see the bats, the river offers many beautiful sights. 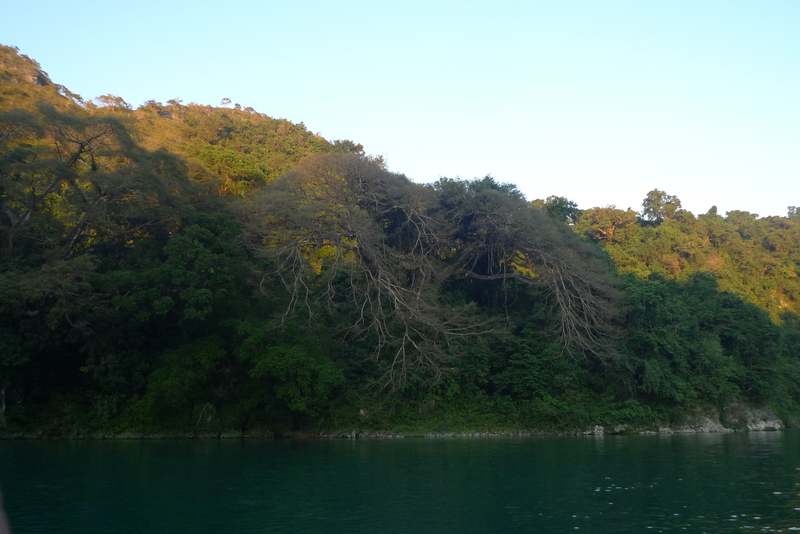 Or this ginormous Balete (Banyan) tree whose hanging roots reach out towards the water. Or this big rock that’s held in place by a really small rock. 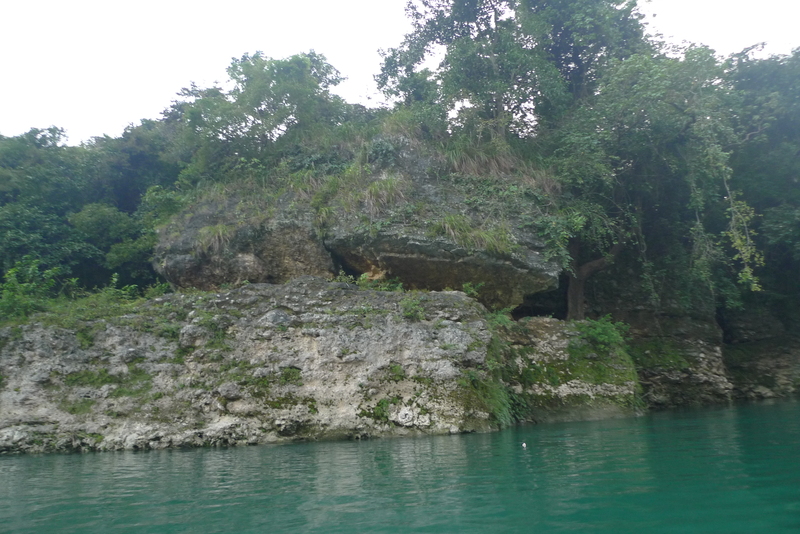 The Callao Cave and Pinacanauan River are must-sees if you’re in Cagayan. They’re only less than an hour away from Tuguegarao, and can be visited in one afternoon.